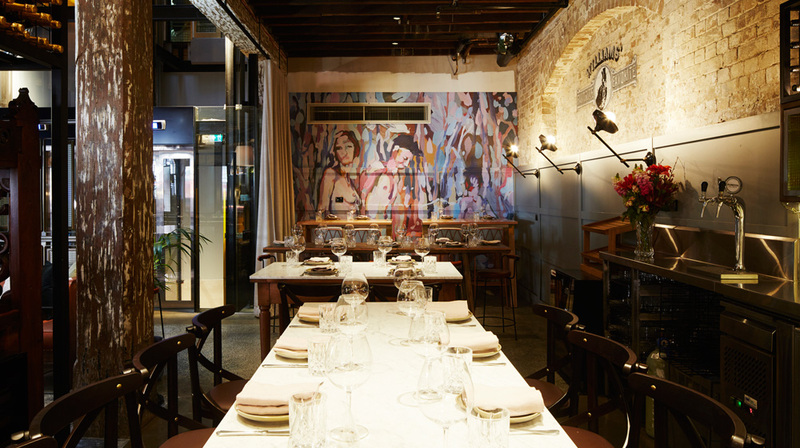 Dedicated Mediterranean-style wine bar and kitchen Mister Percy has opened in Pyrmont, Sydney. The new kitchen is housed in the heritage-inspired designer boutique hotel, Ovolo 1888 Darling Harbour. It is named after Percy Ewart, a former wool classer at the original wool store who made his mark by etching his name in the sandstone building. 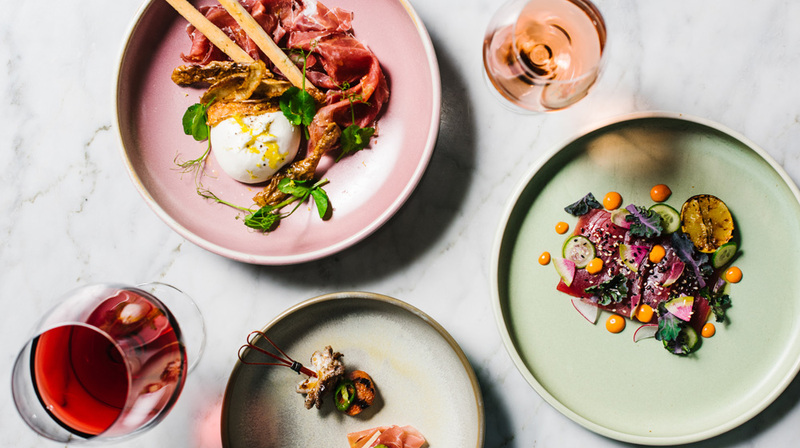 Mister Percy offers both a menu and wine and drinks list inspired by the arc of countries surrounding the Mediterranean. 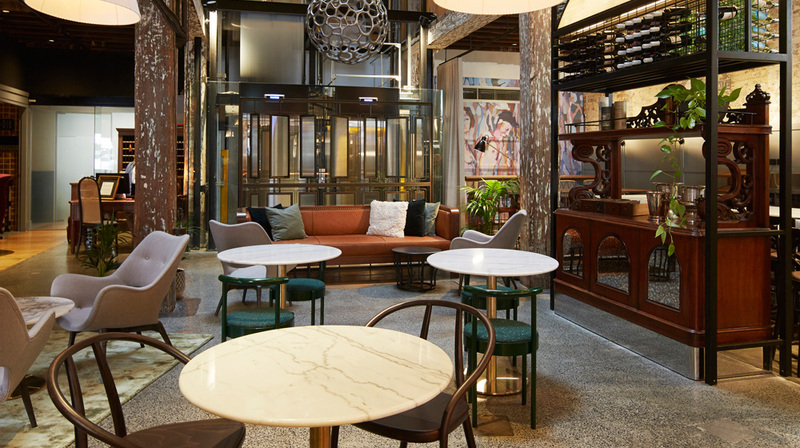 The former 19th-century warehouse fronting Murray Street – home to one of Sydney’s oldest saw-tooth roofs – has been re-imagined by renowned Sydney interior designers Luchetti Krelle, melding vintage decor with the contemporary to create an eclectic bistro-style aesthetic with a twist. 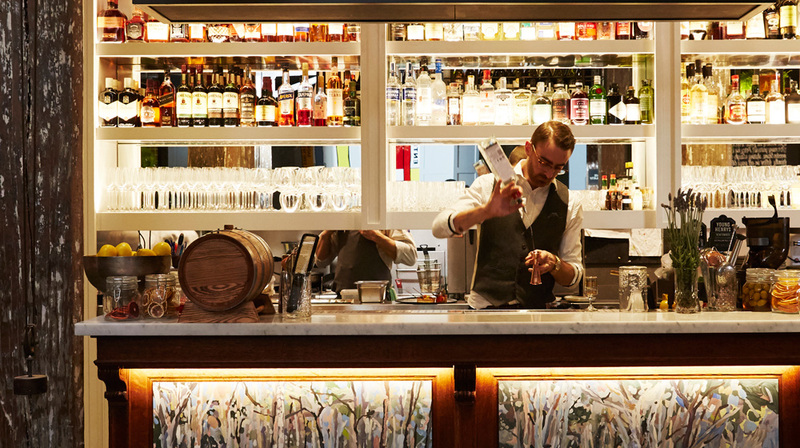 Open every night of the week from 6pm and seating up to 60, Mister Percy is destined to become an inner-city haven known for its charming food and warm surrounds, invigorating wine offering and classic cocktails – all delivered with a touch of old-school cheek. Renowned Sydney chef, Justin North, has collaborated with Ovolo Hotels and head chef Luca Guiotto (ex-A Tavola, Catalina) to develop a coastal European menu showcasing Mediterranean flavours and techniques, anchored by seasonal and mainly local produce. 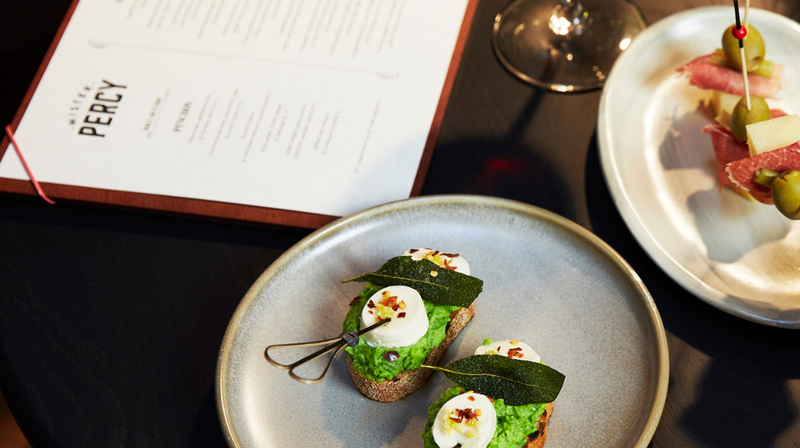 It’s a menu that has been designed to enjoy with a glass in hand (or quartino) and includes a selection of skewered snacks or pinchos, small and larger share-style dishes and Australian artisan cheeses, such as Holy Goat and Pyengana. 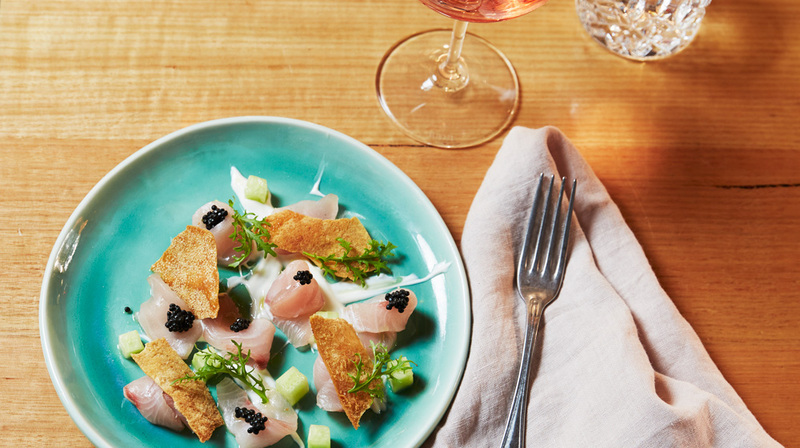 Signature plates include Citrus-cured Hiramasa Kingfish with Horseradish Yoghurt, Verjuice and Carasau Bread, Gnochetti with Zucchini, Cime di Rapa, Fine Herbs, Chilli and Grana Padano and pinchos such as Manchego, Prosciutto and Picholine Olives or Crushed Broad Beans, Bocconcini, Sage and Lemon Croute. There are many vegetarian options available, such as tortelli of local halloumi, watercress, and lemon with broccoli purée. Ovolo Hotel’s Group Wine Curator, Shun Eto, has collaborated with Justin and Luca to curate the 100-strong list mainly of Mediterranean-style wines and varietals. In keeping with Mediterranean style many of the wines are offered by quartino (250ml pours) and have been chosen to closely match the mod-Med menu. There’s a bent towards smaller producers and left-of-field varietals so expect Mencia and Cinsault from southern Europe and closer to home, with Sangiovese and Pinot Grigio from Victoria’s King Valley. Diners can also find plenty of food-friendly old and new world rosés and Prosecco. 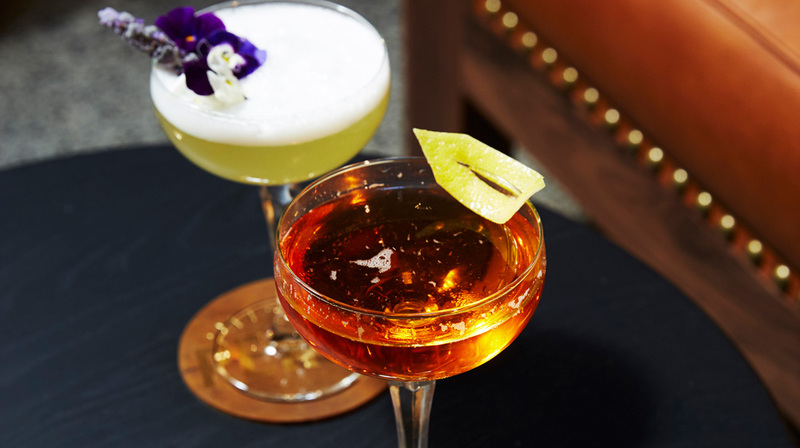 Mister Percy’s cocktails share the same European flavour so expect a great Negroni or Aperol spritz plus a strong selection of aperitifs and digestifs. Craft beer is sourced locally with New South Wales favourites Young Henry’s and Murray’s, while also offering a selection of European beers like that of Spanish Moritz Lager, and the beloved Italian Peroni. While the interiors by the award-winning outfit, Luchetti Krelle, pay homage to the former wool-store – one of the earliest and finest examples of Victorian warehouses in Sydney – Mister Percy has been re-imagined with an assortment of antique, classic and modern pieces from around the world such as France, Italy and the US, featuring a mix of materials such as plush fabrics, leather, marble and cane. 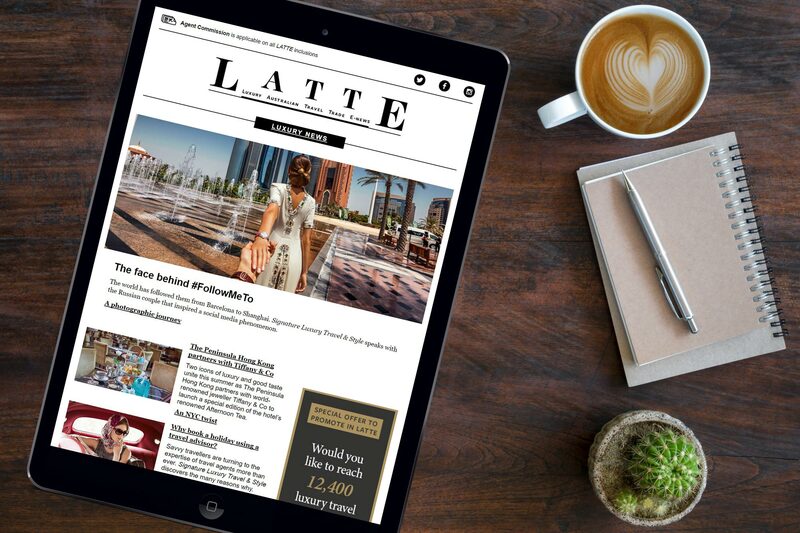 It’s an eclectic but stylish space, inviting diners to relax on oversized lounges with a glass in hand or dine on bar stools, or at timber bistro chairs and tables. Lighting is a combination of table lamps and pendants, and blackboards and on-display wine storage adds an industrial vibe. Local artist, Oliver Watts, was commissioned to paint in the style of ‘environmental art’, a modern twist on Venetian-painted antique furniture. Inspired by gum trees and featuring a palette of greens, reds, blues and pinks, the art adds a true Australian feel. Two separate dining rooms (both seating 10) can be booked for private use or wine tastings. The venue aims to be a comfortable meeting place for guests, neighbourhood friends and inner-west residents to drink, graze and – perhaps – spin a yarn, just like Percy.